Sunshade Blind Systems looks at the advantages of integral blinds. 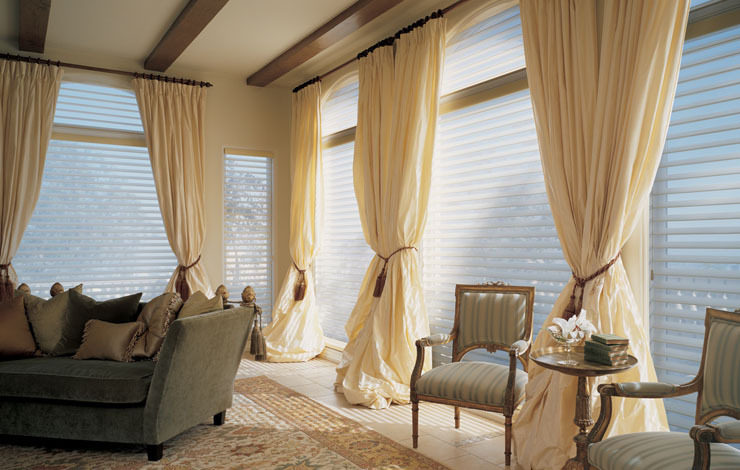 There is a definite interest in integrated blinds, particularly for conservatories and bi-folding doors. Whether it's the opportunity to show-off with a new sophisticated and stylish innovation, or the obvious advantages of blinds sealed within an argon environment, integrated blinds are winners all round. They don't get damp, dusty or dirty and can't be abused by little hands or paws. There are no looped cords to get tangles, dirty or fall off the unit. Cords also have the disadvantage of presenting a possible safety risk for children or pets. A magnetic drive system that is easy to operate and gives longevity and safety over the cord operated systems. The magnets retain their magnetic properties, are hygienic and are simple and quick to operate. Suitability for residential, commercial, educational and medical environments. Sunshade integral blinds are delivered in the format of a standard 28mm sealed units and are ideal as replacement sealed units. All that is needed is to remove the beading from the window concerned, replace the sealed unit with the blind unit and rebead. Job done! For the installer, integral blinds are a great opportunity to add value to a conservatory and all types of doors, especially bi-folding doors. Blinds are quoted based on glass size so installers can get a quote a job for replacement units with blinds without even going back to site. Both venetian and pleated blinds are supplied in a range of colours , which are different for each type of blind, ensuring that there are blinds suited to almost every type of environment. The majority of Sunshade integral blinds supplied are with magnetic controls. However, mains or solar powered motorised blinds can also be supplied operated by remote control. This makes the blinds ideal for conservatories, all types of doors but especially bi-fold doors, and commercial applications. Venetian blinds are built with an advanced tilting and lifting system controlled magnetically. The controlling magnets sit at the bottom of the unit for tilt only blinds and at either sides for the tilt and raise blinds. These magnets attract magnets within the frame of the units , which in turn operate the tilt or raise/lower mechanisms. So when the magnets are moved up or down, there is a corresponding movement of the internal magnets that move the venetian slats. All blinds are bespoke made with sizes ranging from 300mm square to maxima of 1,500mm wide and 2,500mm high.